Diagnostic test for Bovine Coronavirus & Bovine Respiratory Syncytial virus. 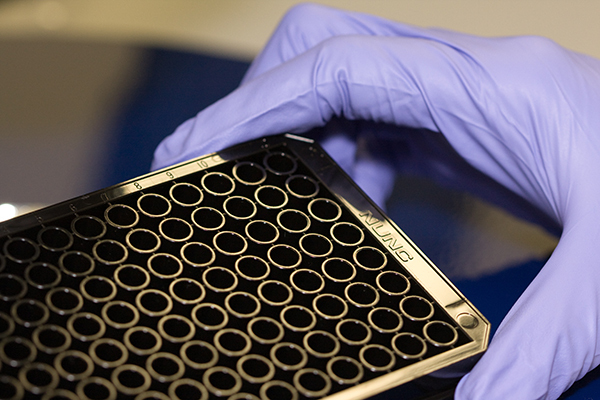 The MVD-Enferplex™ Bovine BCV/BRSV assay is a semi-quantitative luminescent (emission) immunological method for the detection of various antibodies in bovine serum, individual and bulk milk. 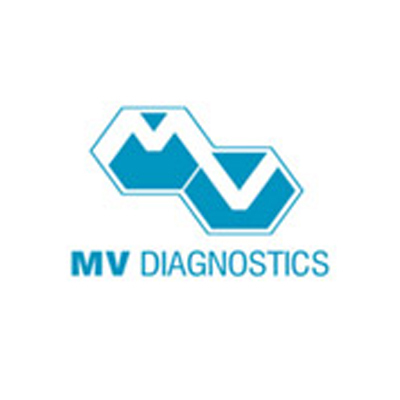 The MVD-Enferplex™ Bovine BCV/BRSV kit is intended for in vitro veterinary diagnostic use and research purposes only. Bovine coronaviruses (BCoV) are members of the Coronaviridae family in the Nidovirus order, subgroup 2a, which are enveloped, single stranded, positive sense RNA viruses with shaped projections on the surface, (1). BCoV infects the upper and lower respiratory tract and intestine. It sheds in both feces and nasal secretions (2). Bovine CoV is involved in the etiology of 3 distinct clinical syndromes in cattle: calf diarrhea, winter dysentery with hemorrhagic diarrhea in adults, and respiratory infections in cattle of various ages including the bovine respiratory disease complex or shipping fever of feed lot cattle, (3). Economic losses are the primary concern of newborn or adult BCoV infection, as the morbidity rates are high and may reach up to 100% of the herd. In dairy herds suffering a BCoV outbreak milk production may not return to normal for several weeks, or even during that lactation period, resulting in significant losses for the milk industry (4). Bovine Respiratory syncytial virus (BRSV) is an enveloped, non-segmented, negative stranded RNA virus. This virus is classified within the genus Pneumovirus of the family Paramyxoviridae, (5). The virus is transmitted by aerosols and infects respiratory tract mucosal cells. The clinical signs of BRSV infection are associated with pulmonary localisation of the virus which is mainly in the cranio-ventral lobes of the lung, (6). BRSV infection is widespread and has major economic impact and is regarded as one of the most important causes of respiratory tract disease, especially in young calves. An infection can cause respiratory distress, fever, anorexia, pulmonary and subcutaneous emphysema and can lead to secondary bacterial pneumonia and death, (3). 2) Cho K.O. Hoet AE, Loerch SC., Wittiem TE, Saif LJ. Evaluation of concurrent shedding of bovine coronaviruses via respiratory tract and enteric route in feed lot cattle. Am J Vet Res. 2001; 62: 1436-41. 6) Quinting B, Beatrice R, Letellier C, Boxus M, Kerkhofs P, Schynts F, Collard A. Development of a 1 step enzyme linked immunosorbent assay for the rapid diagnosis of bovine respiratory syncytial virus in post-mortem specimens. J Vet Diagn. Invest. 19: 238-243, 2007.